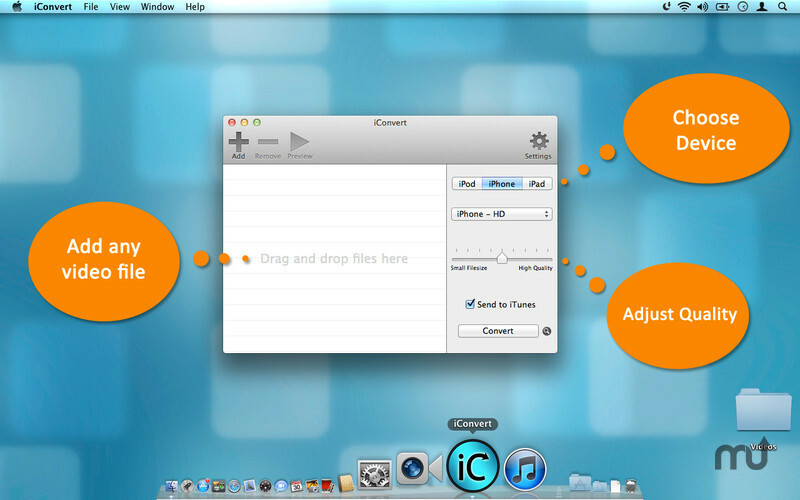 Simple file converter for iOS devices. Is there a better alternative to iConvert HD? Is iConvert HD really the best app in Video category? Will iConvert HD work good on macOS 10.13.4? 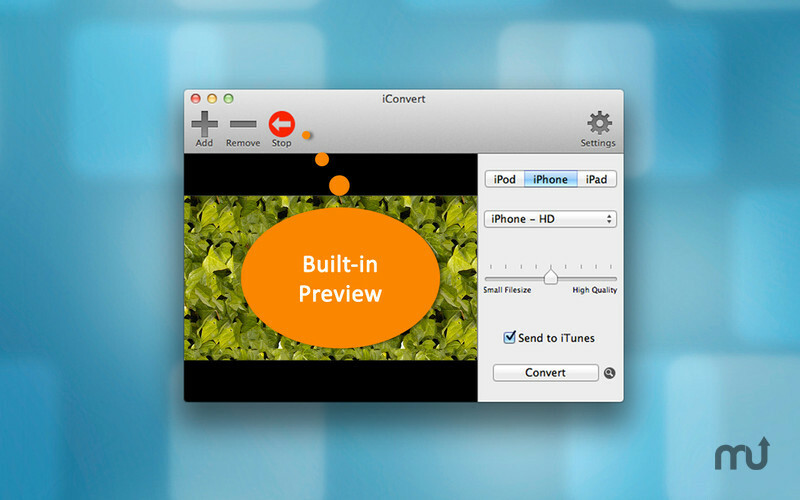 iConvert HD converts video files to iPhone, iPod or iPad, and Send to iTunes automagically. iConvert is simple, fast and it works! Highlights: Drag and drop. Converts multiple files in batch. HD option. OS X 10.7-ready. Get your converted files in your iTunes library automatically by checking the "Send to iTunes" option. iConvert HD needs a review. Be the first to review this app and get the discussion started! iConvert HD needs a rating. Be the first to rate this app and get the discussion started! Click convert, and you're ready to go! 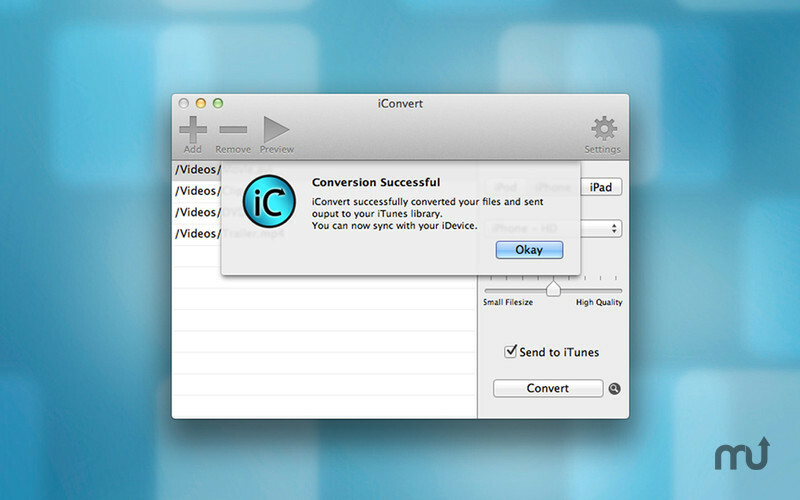 You will find your videos in your iTunes library, converted, optimized, and ready to sync.